Born: 19 February 1828, Bremen, Germany. Died: November 1876, Malanje, Angola. Eduard Mohr (his full names were Nicolaus Carl Eduard Mohr) was a son of the Bremen merchant Nikolaus Mohr. He completed an apprenticeship as a merchant and in due course became wealthy as a trader and shipowner. In 1848 he went to the United States and settled in California where he was commercially active until 1855. He then went to Hawaii and on to India, returning to Europe in 1859. Two years later he travelled to New York and on to Java. Back in Bremen in 163 he attended the Untersteuermansschule (lower school for helmsmen), among others to enable him to determine geographical positions from astronomical observations during his intended travels. Mohr arrived in Natal in 1866 and hunted in Zululand with John R. Dunn, and in Tonga country (portions of northern Zululand and southern Mozambique) with C.D. Rudd*, and collected zoological specimens for the museums of Bremen and Berlin. After returning to Bremen in 1867 he attended the Obersteuermansschule for further training and published Reise und Jagd-Bilder des Suedsee, Californien und Suedost Afrika (Bremen, 1868). Three years later he visited southern African again, landing in Durban in February 1869. He travelled inland via the Umgeni Falls, the Tugela River and the Drakensberg, and by May that year was at Potchefstroom, in the South African Republic (Transvaal), where he met Karl Mauch* and Friedrich A. Huebner*. Later that month he and Huebner visited the Wonderfontein Cave, near present Oberholzer, an extensive dolomite cave which is a major source of the Mooi River. Huebner then became Mohr's geological guide on a journey to the Victoria Falls, inspired by Mauch's travels. From Potchefstroom they travelled to Tati (near present Francistown) in Botswana, which they reached in July, and via Inyati, Matabeleland, on to the Zambezi River. Mohr reached the falls in June 1870, but by that time Huebner had already turned back to the Transvaal. The first part of Mohr's travels, from Natal to Potchefstroom, was described in Petermann's Mitteilungen (1869) under the title "Eduard Mohr's Astronomisch-geognostische Expedition in Sued-Afrika...". Upon his return Mohr wrote two papers in which he described his journey, "Reise im Innern von Sued-Afrika, von den Tati Goldfeldern bis zum Zambesi und Zurueck nach Natal" (Petermann's Mitteilungen, 1871), and "Von Bremen nach dem Mosiwatunja, den Victoria Faellen des Zambesi" (Elfter Jahresbericht des Vereins von Freunden der Erdkunde zu Leipzig, 1871). A few years later he published a more comprehensive account in the form of a two-volume work, Nach den Victoria-faellen des Zambesi (Leipzig, 1875). Huebner's geological observations were included in an appendix. An English translation, To the Victoria Falls of the Zambesi, was published in 1876. During the journey from Potchefstroom to Inyati Huebner had made regular meteorological observations that were described in a paper by Mohr in the Zeitschrift der Gesellschaft fuer Erdkunde (Berlin, 1872). In another paper, "Mohr's Reise zum Mosiwatunja", published in Ausland (1875), he advanced the theory that the Magaliesberg forms a decided climatic boundary between the low and highveld regions of Transvaal. Mohr determined the latitudes and longitudes of a number of places in the Transvaal. This was pioneering work, as indicated by the fact that F. Jeppe's* Transvaal Book Almanac and Directory for 1877 listed the geographical positions of only 23 places in southern Africa, eight of which had been determined by Mohr. Early in 1876 Mohr was commissioned by the Deutsche Afrika Gesellschaft to explore the interior of the African continent from the west coast. He left in June that year and reached Luanda, Angola, frim where he began to travel inland. However, upon reaching Malanje (Malange, Malanji) he committed suicide during a bout of depression. Craven, S.A. The contribution of Emil Holub (1847-1902) to South African speleology. Quarterly Bulletin of the National Library of South Africa, December 2000, Vol. 55(2), pp. 80-85. 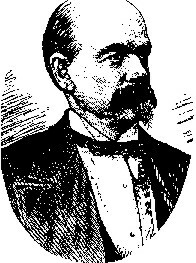 Eduard Mohr (Afrikaforscher). Wikipedia: Die freie Enzyklopaedie. Retrieved from https://de.wikipedia.org/wiki/Eduard_Mohr_(Afrikaforscher) on 2018-11-5. Foertsch, E. Kartographische und geologische Erschliessung. Lantern, February 1992, Vol. 41, pp. 98-102. Google scholar. http://scholar.google.co.za Publications by E. Mohr. Jeppe, F. Transvaal book almanac and directory for 1877 (p. 69). Pietermaritzburg, 1877 (reprinted by the State Library, Pretoria, 1976). Mohr, E. Reise und Jagd-Bilder der Suedsee, Californien und Suedost Afrika. Bremen, 1868. Retrieved from https://books.google.co.za/books?hl=en&lr=&id=wl5CAAAAcAAJ&oi=fnd&pg=PP3&dq=E Mohr&ots=Qotgt46bGh&sig=wyIGHNTXPuVkRUaXLpHMyNU0jhY#v=onepage&q=E Mohr&f=false on 2018-11-5. Schunke-Hollway, H.C. Bibliography of books, pamphlets, maps, magazine articles, &c, relating to South Africa, with special reference to geography... Transactions of the South African Philosophical Society, 1898, Vol. 10(2), pp. 10-293.